Located in Zona Hotelera, this beachfront hotel is next to a golf course and within a 15-minute walk of Ballenas Beach and Aquaworld. 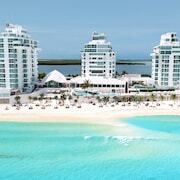 Cancun Interactive Aquarium and La Isla Shopping Mall are also within 2 mi (3 km). 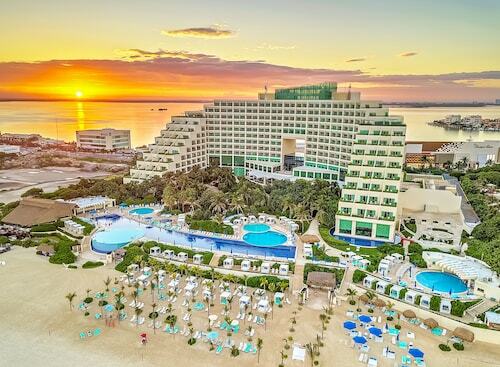 Nestled on the beach, this Zona Hotelera resort is within a 10-minute walk of Caracol Beach and Cancun Convention Center. Forum Beach and Delphinus Dreams are also within 15 minutes. Nestled on the beach, this Zona Hotelera property is within a 10-minute walk of Chac Mool Beach and Forum Beach. 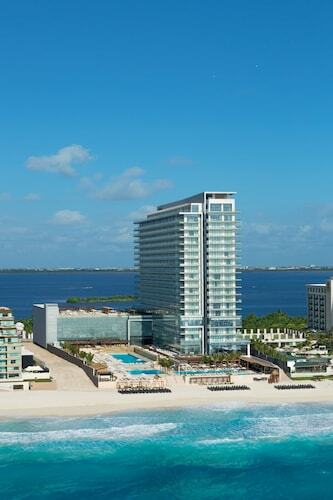 Cancun Convention Center and Caracol Beach are also within 1 mi (2 km). How Much is a Hotel Room in Zona Hotelera? 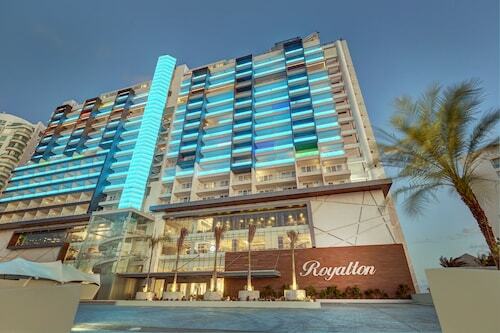 Hotels in Zona Hotelera start at $96 per night. Prices and availability subject to change. Additional terms may apply. 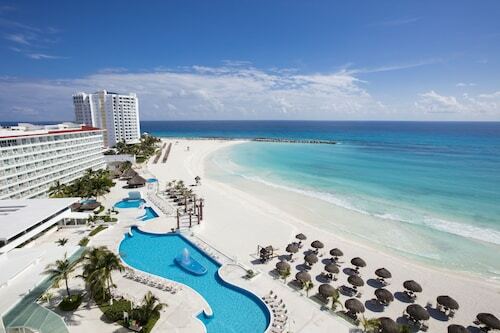 If you're looking to soak up the sunshine and feel the sand beneath your feet, Cancun is the place for you. You can experience fine Mexican cuisine and explore Mayan history the same day. 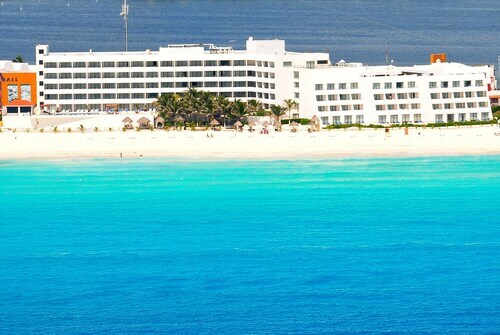 Cancun offers history and culture alongside its countless cozy amenities. 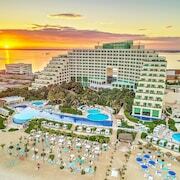 If you are looking for a fascinating district to eat, play, and sleep in during your time in the Yucatan Peninsula, book one of the hotels near the Cancun Hotel Zone. 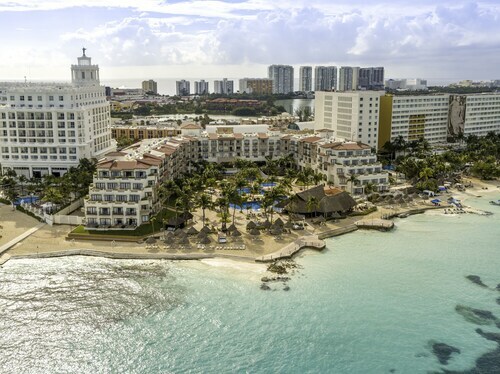 When you search for flights to Cancun, you may think of lounging poolside, swimming in the ocean, taking advantage of an unabashed party environment, devouring Mexican seafood, and refueling at a top-notch resort. Well, Zona Hotelera (the Hotel Zone) offers you all that. 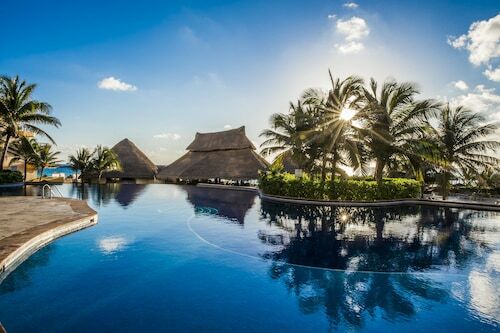 If you book one of the hotels by the Cancun Hotel Zone, you could very well never leave the district, and still have the best vacation of your life. 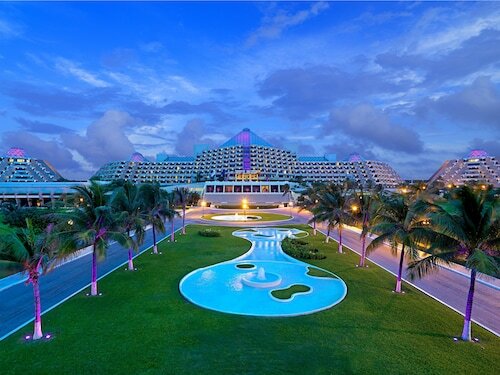 The Cancun Hotel Zone is that awesome. However, not venturing out would be a mistake. The center of Cancun is just a three-mile taxi, car, or bus ride away, and it's where you can truly get a feel for the local lifestyle, find a taco joint or laid-back bar, and just enjoy yourself. If you're looking to experience just how incredible Mayan civilization was, it's worth making the 125-mile drive to Chichen Itza—a UNESCO World Heritage Site that was one of the most important and sacred Mayan cities. You'll be impressed by the architecture and the level of the city's preservation. 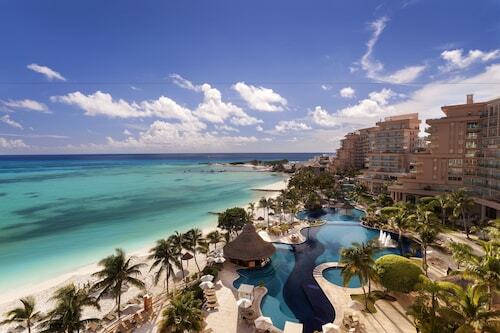 From bustling sandy beaches to remote natural jungles, Cancun will wow you. 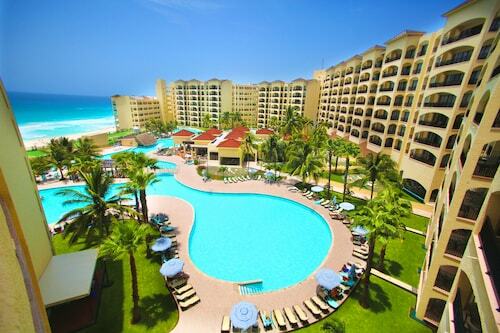 Be sure to look for cheap hotels near the Cancun Hotel Zone on Travelocity. 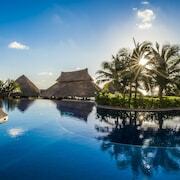 If you need to book a flight as well, combine your airfare and lodging together with one of Travelocity's Cancun vacation packages, and slash up to $537 off your total bill. You can use those savings on snorkeling, cocktails, rental cars, and more. This place is like a paradise. My husband and I booked for an anniversary trip. 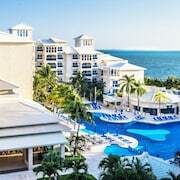 We have never been to an all inclusive resort and were beyond impressed at the friendliness, amenities, and quality of our stay. They really do mean all inclusive. We enjoyed day after day of the delicious food and quality cocktails. The portions are small, but you can order as much as you like. Trust me you will want to try everything, it is all so good. Each employee was pleasant, helpful, knowledgeable, and able to accommodate you in any way. Each day I felt like we were given the royal treatment. The only extras that we spent were on a massage (highly recommend, you get a massage in front of the ocean!) and we tipped (although it did not seem customary to tip everyone, but we did as often as we could because of the great service). 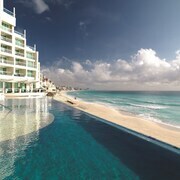 We will be staying here again on our next Cancun trip! Thank you so much Fiesta Americana!! The gym is great. 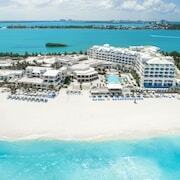 Overall beautiful resort with great service. My only complaint was that the drinks were really weak. (I can’t speak to beer though.) I am a lightweight drinker and never once could feel a drink, including martinis. The resort was clean and the staff was friendly. We enjoyed our stay there.